PermitAccess provides direct access for ‘Excavation’ and ‘Non-Excavation’ permit applications. For Excavation permit applications PermitAccess combines and automates the processes of submitting a One Call ticket and applying for a Permit when the intended work site is in the road corridor. When requiring a Non-Excavation permit CorridorAccess provides an automated application and approval process consistent amongst Permit Authorities. View the PermitAccess webinar and discover how you can gain excavation visibility in the right of way by leveraging 811 data. 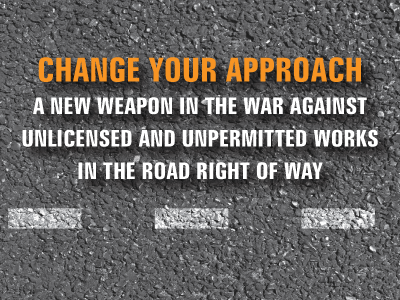 Integrate your Right of Way permits with 811 tickets and regain control of your roads. 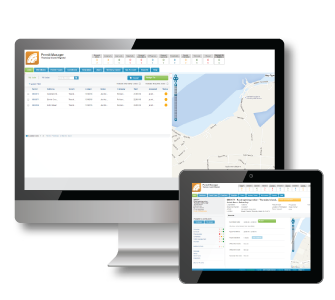 Learn how your organization can better control the cost of unclaimed 3rd party road re-instatement. STEP 1: Applicants generate their asset location request via the regions One Call service for excavation works. If the dig site falls within the road corridor for a participating Permit Authority a permit application is also generated. For those who require Non-Excavation permits the participating Permit Authority will direct the applicant to the CorridorAccess site to apply. This site generates and manages non-excavation permit application requests exclusively. Contractors using a One Call service for asset plan locations can now automatically have permit applications delivered to participating Municipalities & Permit Authorities. Contractors can view updates on the progress of their Permit applications, as well as documents and messages from the Permit Authority. Sometimes activities and works that are not excavation in nature require a permit. Anyone planning to limit access to any part of a road corridor (including footpath or nature-strip) can apply to the relevant Permit Authority for permission via their website links to CorridorAccess.